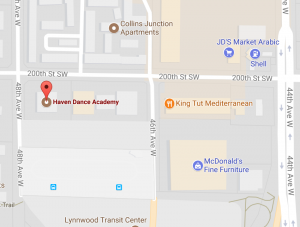 Class Schedule - Haven Dance Academy - Ballet, Tap, Jazz, Modern & Hip Hop Dance Classes for toddlers to adults! Please Note: The schedule is sorted by day of the week (Monday-Saturday) in an effort to help with your weekly planning. Classes that meet twice a week will sort by the first day that they meet.